He was the genius of his age; revered sculptor, painter, architect and poet; fiercely devoted friend; beleaguered artist to the popes; and a pilgrim in search of an elusive redemption. She was a celebrated poet; dutiful daughter; adoring yet betrayed wife; powerful political voice; spiritual seeker; suspected heretic; and the only woman Michelangelo ever loved. 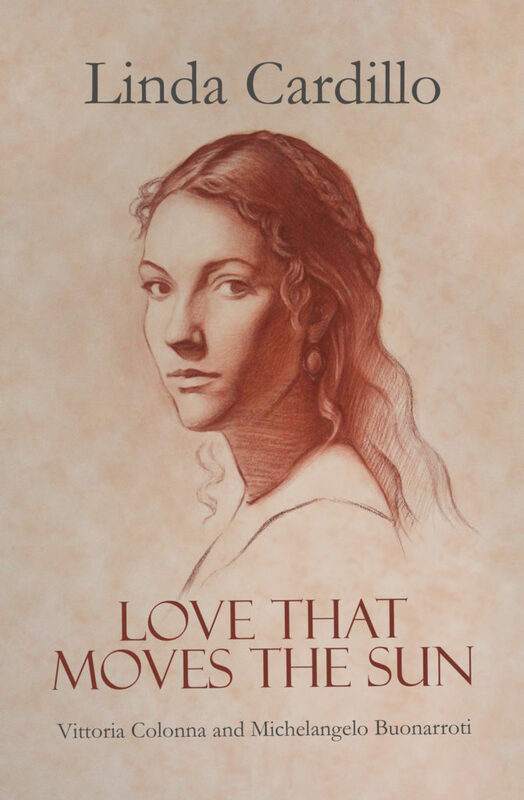 LOVE THAT MOVES THE SUN is not a simple Historical Romance, or love story. Yes, you have a telling of the friendship that the poet and what I would call a religious/social activist, Vittoria Colonna and the great artist Michelangelo shared, albeit it in a somewhat different manner, but who is to say what is what. This is a book for every person that wants to learn about strong and influential women in Europe in the 1500s. The well described settings, character development and emotional atmosphere of the day envelope you in perfection and you forget to come up for air until the hour is so late your eyes drop or your stomach growls in protest of your neglect. Most people see Michelangelo as one thing, an artist, perhaps too some he is the greatest. But you see with the turning pages and through Colonna’s voice that he had other depths, another purpose. If you are not a normal fan of the Romance genre, with LOVE THAT MOVES THE SUN you receive a thoroughly researched and well-presented historical lesson that is wrapped in the velvet glove of Romance, just to trick those Romance fans into becoming History fans. I recommend to the aforementioned genre lovers Linda Cardillo’s latest offering, as well as to those who are wanting to test the waters of Historical Romance for the first time. This is where I would tell you a little about the author, Linda Cardillo, The problem is, there is no way I can do a cliff notes version of her life. Visit her website http://lindacardillo.com/ to see how a love of writing and Harvard Business School produce an award-winning author. Check out this post from the Lit World Interviews blog with a review of the book, Love That Moves the Sun: Vittoria Colonna and Michelangelo Buonarroti, by Linda Cardillo.